If a seat in the C-suite is your ultimate career goal, it can be tempting to dedicate your all to proving you belong there, while putting downtime and wellbeing by the wayside. But experts say it’s crucial that leaders look after their health, otherwise their C-suite stay will be a short one. 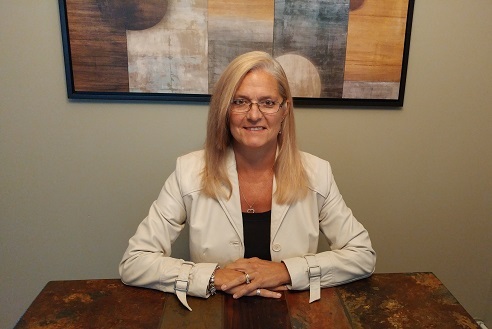 HRD Canada spoke to Linda Lewis-Daly, managing director of Lewis-Daly & Associates and workplace wellness consultant for GoodLife Fitness, on how HR professionals can look after themselves, without taking their eye off their dream role. Why is it important for company leaders to embrace their own health and wellbeing? Good question. Consider the last time you flew on an airline. In the unlikely event of cabin decompression, all passengers are instructed to don their own oxygen mask before aiding the person sitting beside them, even if that person is a child. In other words, you are no good to anyone else if you are overcome by smoke inhalation. The same holds true for the health and well-being of a leader. By taking care of yourself, you can take care of others. By taking care of yourself, you can influence others to do the same. By taking care of yourself, you can better lead others and make wiser decisions for the business. How can leaders, especially those in the C-suite, find a work-life balance? Where does it begin? We all have multiple roles in life and the C-suite is no exception. In addition to their work responsibilities, they may be partners, parents, son/daughter, community leaders, mentors, volunteers and more. Just as the combination of these roles differs from one person to another, so too does each individual’s concept of work-life balance. One size does not fit all. Work-life balance is about how one feels at any given moment and can also be very subjective. We all have our own ideas as to what is comfortable, tolerable, and acceptable. We all have our own unique ‘balance’. As we continue to grow and evolve, what it takes to strike that balance is bound to shift and change. What we need to achieve work-life balance is different at different stages of our lives. So, where does work-life balance begin? I would suggest that it begins with a calendar to help set work-life boundaries. What if they feel too busy? How do they make time? Using a calendar to simply schedule meetings is limiting. Yet using an integrated work-life calendar allows one to also include time to exercise, important events to attend with children, or even that hour on Sunday evening to prepare for the upcoming workweek. Having this time visible to oneself and others helps makes certain that important time for family, work and school is guarded. In other words, you create your boundaries around what is negotiable and non-negotiable within an integrated work-life calendar. And, seeing the C-suite actively participate in their company’s wellness offerings sends a powerful message of endorsement to the employees, implies permission for them to take advantage of these programs and can help the C-suite (and other managers) make time, during the work day, for their own health improvement. For HR professionals wanting to demonstrate leadership and reach the C-suite, why is it important to be healthy, and be seen to be healthy? I would answer this in the same way as why it is important for leaders to embrace their own health and well-being. Taking care of one’s own self begets the ability to care for others which improves the ability to influence others which translates into being a better leader. Should HR send workers to the gym?